Angels aren't just for Christmas anymore. This angel is for your garden, tucked among your potted plants, or in a container at your front entrance. Whether it trumpets a welcome, a blessing of good weather, or for a riot of blooms in your garden, she brings the promise of good things to come. It is a disarming sun catcher, that offers the viewer an element of delight. 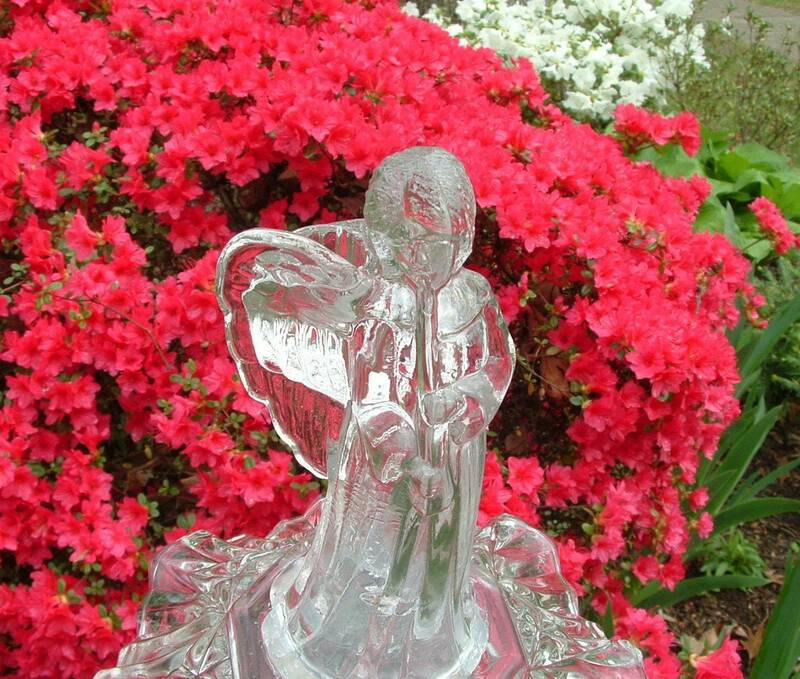 To have this crystal angel displayed among your flowers or in the ground, insert a garden stake or dowel into the opening at the bottom. It is shown with a rebar stake. Please provide your own garden stake or dowel, both of which are readily available for very little cost at garden centers. The whole creation is 16" high. Made with three pieces of re-purposed glass. Everything in my Etsy store is one of a kind. I have made each creation with heirloom, vintage, and/or found glassware, re-purposed for contemporary living. I use an industrial adhesive that can withstand variations in temperature, which means these items can be displayed indoors or out. The adhesive will not turn yellow, melt, become brittle, or crack with exposure to the sun as some adhesives do. These assembled sculptures may combine lead crystal and pressed glass, so I can’t predict how they may fare in real extreme outdoor conditions. However, I have some in my yard that have been doing well since 2011 in the searing Maryland summer sun and through some very heavy winter snows. Since the individual pieces have been pre-owned, some may show slight abrasion or wear patterns, although I do examine them carefully. I hope you will see that as part of the charm of a re-purposed item. Most of my creations would also make unique wedding gifts—especially for those who like vintage or hand-made items. Gift wrapping is available for an additional fee. To ensure items you order arrive safely at your door, each needs to be shipped separately. Under most circumstances, SHIPPING COSTS CANNOT BE COMBINED. If you are interested in purchasing more than one item at a time, please contact me so I may evaluate if they can be shipped together and to adjust your invoice. Otherwise, please note the shipping cost for each item is calculated using Etsy's shipping function based on your zip code. 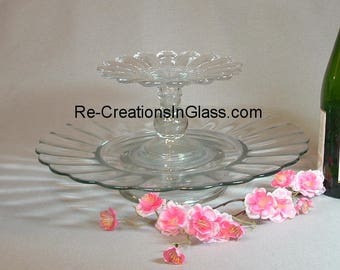 Re-Creations In Glass also has a Facebook page. “Like” it to see each new listing on Etsy and for discount coupons. Thank you for checking out my store. I’m glad you found it! Please e-mail me with cares, concerns, or questions about my products at recreationsinglass [!at] gmail.com or through the Etsy conversation function. My trio mushrooms are amazing.... The packing was very well performed and I received it so fast! Thanks Steph. Garden Art. Trio of Mushrooms. Made with upcycled glass.